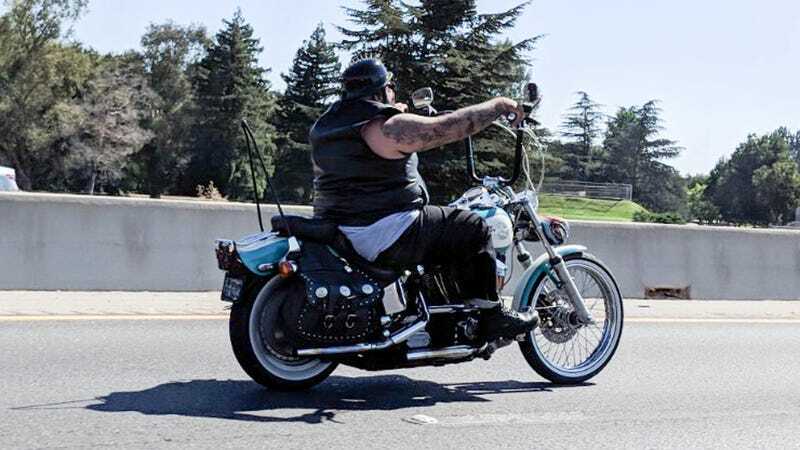 I hate lane splitting, but this dude was too fat for that. I was driving the ‘91 Corolla down I-5 north of Stockton with the windows down and this guy’s exhaust was LOUD. But I just rode along beside him listening to it and, I must confess, it was glorious.